It is often said that many of the best qualities of the United States stem from its willingness throughout history to accept immigrants from around the world. Since 9/11, however, public sentiment has shifted somewhat, and many laws regarding immigration and naturalization have become more restrictive and complex. 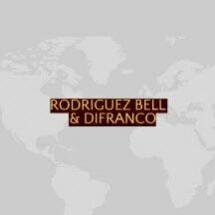 The attorneys at Rodriguez Bell & DiFranco Law Office, LLC, in Worthington, Ohio, assist individuals in the full spectrum of immigration law. Because we focus entirely on immigration law, our lawyers have the experience and know-how to get things done. We stay abreast of the latest changes to federal immigration laws, and we have a thorough understanding of the creative strategies that are successfully deployed to streamline immigration processes and clear roadblocks. Our attorneys, descendents themselves of immigrants, are inspired and driven to help others because of how immigration positively impacted their lives. Too much is at stake to work with a law firm whose attorneys are not similarly devoted to the outcome, or a firm that merely dabbles in immigration law. We invite you to call 800-709-0243 to schedule a free consultation. We also assist clients in Cleveland and surrounding suburbs from our office in Cleveland.